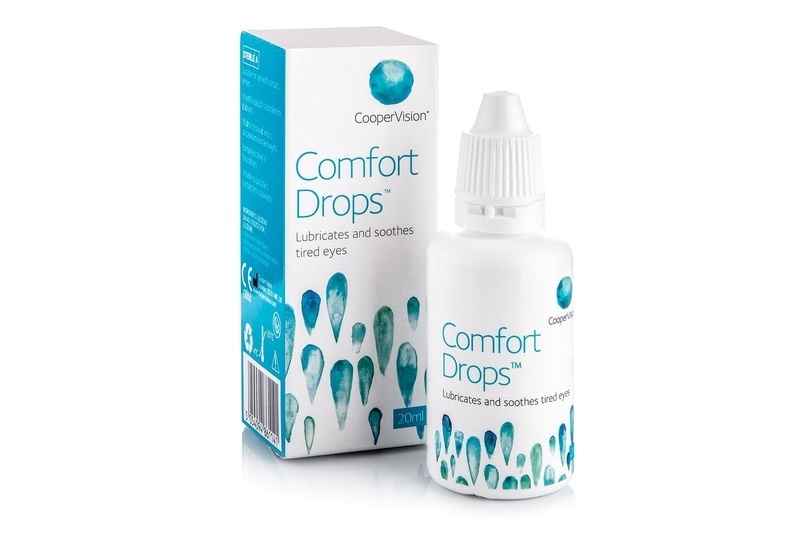 Comfort Drops by CooperVision are moisturising eye drops designed for increased eye comfort during everyday activities such as computer work, reading, watching TV or driving at night. Comfort Drops freshen up the eyes after a hard day at work and can be used daily as needed. Comfort Drops are gentle to the eyes and, thanks to their composition, maintain the natural pH of tears. Comfort Drops can be used with any type of soft contact lenses as often as needed to refresh your eyes during a busy day. Use within 3 months of opening.